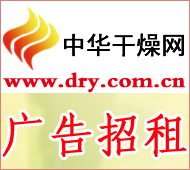 China Drying Network News was announced by the US "Rubber & Plastics News" Weekly Organization's list of the world's top 50 non-tire and rubber products in 2012. Germany's mainland replaced Hutchinson in France and topped the list. From the top 50 financial position, it is estimated that in 2011, the global non-tire rubber market sales revenue and profits will continue to grow strongly on the basis of significant growth in 2010, both setting a record high. The global non-tire rubber products are developing more rapidly than the tire industry, becoming a new economic growth point for the rubber industry. The list is ranked according to the sales revenue of non-tire rubber products in 2011. German mainland sales revenue increased by 22%, replacing Hutchinson of France as the new global non-dominant tire rubber product. Hutchinson ranked second in France. Trelleborg, Sweden, and Freiitberger, Germany, ranked 3rd and 4th, respectively, which was exactly the same as last year's. Ranks 5 to 10 are the same as last year. They are still Bridgestone of Japan, NOK of Japan, Rubber Industry of Tokai of Japan, Tomkins of the United Kingdom, Cooper Standard Auto Parts, and Pike-Hannifin. In addition to the top 10, the worldâ€™s â€œtwo billion dollar clubâ€ members added one American Weiyangsi technology; the â€œone billion dollar clubâ€ members increased from 12 last year to 18. Only one new German WOCO industrial technology has entered the top 50 list. Overall, the economic benefits of non- tire rubber products companies last year were very good. The sales of Top 50 companies increased by 11.7% year-on-year to US$65 billion; total profits increased by 39.3% to a record US$10.77 billion. The profit rate of various enterprises has generally been greatly increased. In terms of profits, the German mainland grew by 106% to 1.845 billion U.S. dollars, ranking first, with a profit margin of 4.3%. Profit of the United States Eaton increased by 45.3% to 1.35 billion U.S. dollars, ranking second, with a profit rate of 8.4%. Bridgestoneâ€™s profits rose by 14.7% to 1.29 billion U.S. dollars, ranking third, with a profit margin of 3.4%. From the analysis of the nature of production and operation of the top 50 companies, most companies have been grouped and diversified. The situation where a single product is alone is no longer there, but it is organically combined with specialization, refinement, and integration to implement specialization, fine production, comprehensive management, and actively develop diversified and internationalized strategies. In the top 50, four companies including Bridgestone, Yokohama Rubber, Sumitomo Rubber, and Toyo Rubber Co., Ltd. are tire-based and produce non-tire and rubber products. The mainland, Trelleborg, and Carlisle partners are tires and non- tires. Tire and rubber products are developed with equal weight. Hutchinson and Semplit have more than 10 companies based on automotive rubber parts. Among the rubber hoses and adhesive tapes for industrial rubber products, there are 8 companies including Yokohama Rubber, Tokai Rubber, Osaka Chemicals, Samsung Tape, Shinda, and Fina. Automobile parts and mechanical seals Large companies involved in the production of non-tire rubber products have at least 10 or more, and many occupy a prominent position. For example, Freiitenberg's annual sales were US$8.366 billion, non-tire rubber products accounted for 46.5%, Sweden's SFK was US$ 10.22 billion, non-tire rubber products accounted for 7.8%, and German ZF was US$ 21.6 billion, not tire rubber. The products accounted for 4.3%; the German mainland was US$42.485 billion and the non-tyre rubber products accounted for 10.8%. The top 10 auto parts giants in the United States are mostly involved in the production and operation of automotive rubber parts. There is also Toyota, the world's largest auto group, whose Toyota synthesis subsidiary also has non-tire rubber products in addition to auto parts, while non-tyre rubber products account for 15%. The current control of the non-tire rubber market is still Europe, Japan and the United States. The countries and regions to which the top 50 corporate headquarters belong are mainly concentrated in Europe, Japan and the United States. Among them, there are 15 Japanese companies and the top 50 countries. The United States ranked second. There are 18 companies in the EU, ranking first in the region. More than 90% of global non-tire rubber products enterprises are still controlled by Europe, America and Japan. Top 10 is all European, American and Japanese companies. The Top 10 sales totaled 35 billion U.S. dollars, accounting for 53.9% of the top 50 companies, which is more than half, and it is in a very concentrated state. The European non-tire business is growing faster. The top four companies are all European companies, with sales of 16.55 billion U.S. dollars, accounting for 25.5% of the top 50 companies. China's non-tire rubber industry achieved a breakthrough in 2010, with two companies entering the top 50 at one time. In 2011, these two finalists broke through. Zhuzhou Times New Material Technology Company sales increased by 55% to 361 million US dollars, ranking from 47th to 36th. This is the first time that Chinese companies have entered the top 40. Anhui Zhongding Seals Group's sales increased by 27%, ranking from 45th to 41st with US$457m. The shortlisting of two Chinese companies also shows that the strength of China's rubber industry continues to increase. Chinaâ€™s rubber consumption ranks first in the world, and the production of non-tire and rubber products such as hoses, adhesive tapes, rubber sheets, seals, and shock-absorbing products ranks among the best in the world, which is a great attraction for rubber manufacturers in the world. So far, the top 50 enterprises have set up factories in China with 32 companies and nearly 70 factories. The East China Sea has the largest number of factories in China, 9 in Toyota, 7 in Toyota, 5 in mainland China and Bridgestone, and 4 in Yokohama and rich countries. The rubber and auto parts produced by these foreign-funded enterprises have accounted for more than two-thirds of the Chinese market, and they are mostly monopolized in terms of high-end products. The focus of the world's non-tire rubber manufacturing has clearly shifted to China.